use specialized conversion tool that can help you convert XML to DOC in batch. Of course, the first option is easier and cheaper than the second one. The problem with it, however, is that neither Notepad nor Internet browsers allow for saving files in DOC. If your computer is equipped with software that allows you to save XML in DOC, then you are perfectly fine. 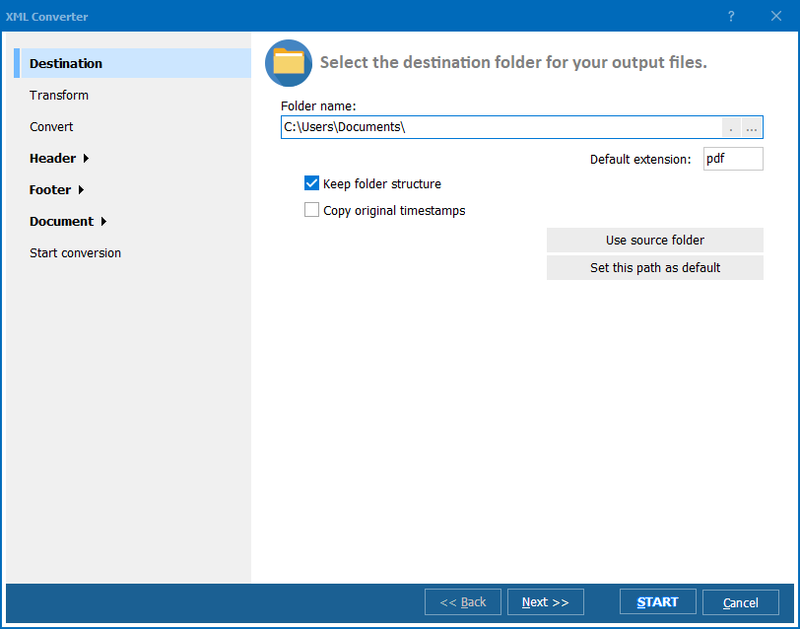 However, if you do not have such an application installed on your computer, you might want to download XML DOC converter. To choose the best program, look for reviews on the Internet. 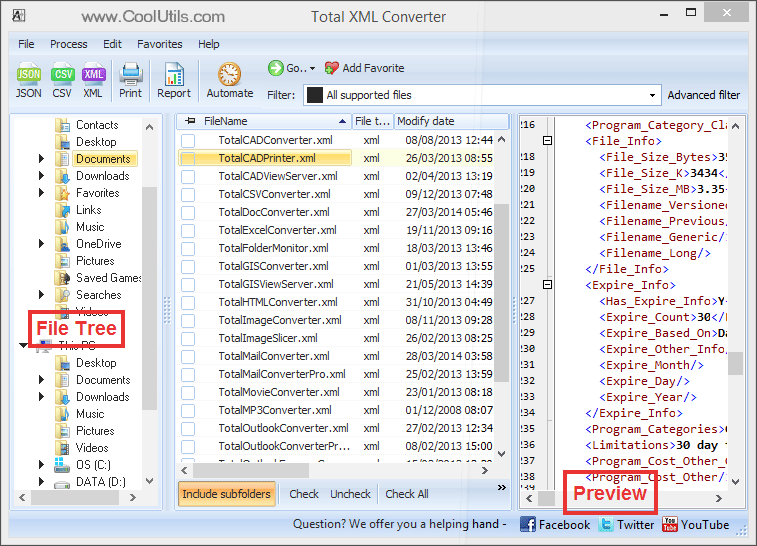 You will see that one of the applications recommended by thousands of users is Total XML Converter developed by CoolUtils. This XML converter is distinguished from similar applications by extended functionality, user-friendly design and low price. Let us start with the description of the program’s functionality. 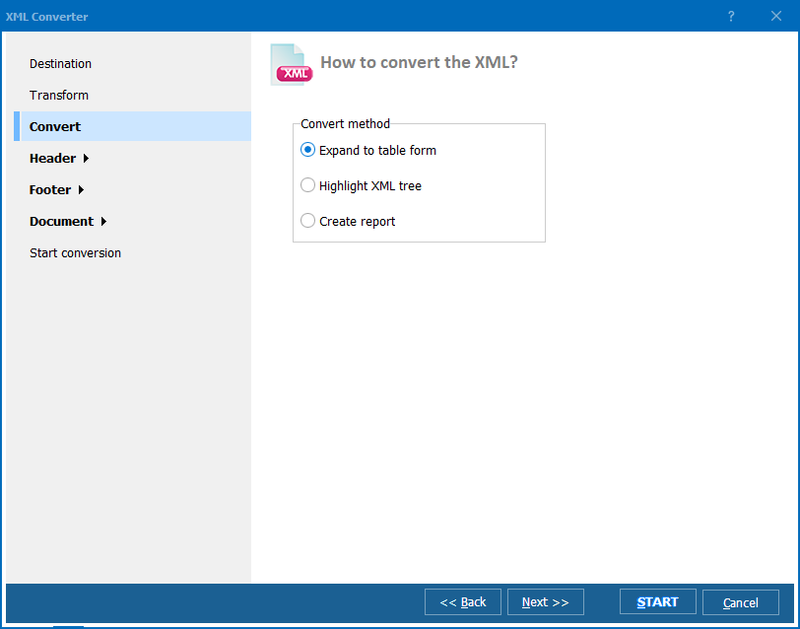 First, Total XML Converter supports a range of formats, from XML, CSV, JSON, PDF, DOC, TIFF and JPEG and is able to convert them in large groups. The interface of the program is simple indeed. Moreover, you can use online slideshow and how-to articles to learn how to use Total Excel Converter in a couple of minutes. 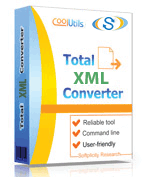 Finally, the price of Total XML Converter is very attractive. Get the free trial version of the application now to see whether you are ready to purchase it for under $40 or not!